Wow, this movie holds up really well! Sure, Keanu Reeves is employing his usual “acting” method of saying his lines really carefully and with feeling,* but damn, this movie is fun. 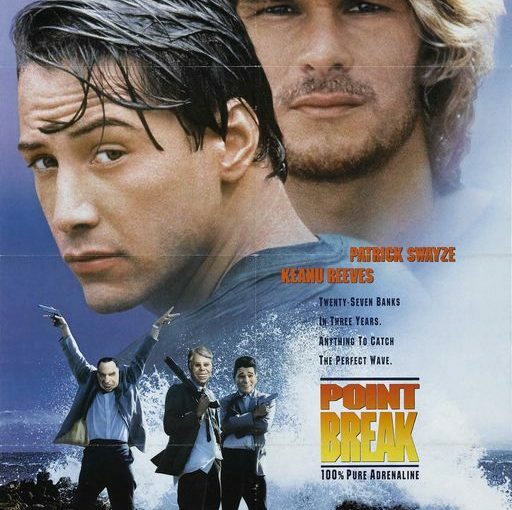 Surfing, bank robbing, Lori Petty, skydiving, James Le Gros, a running chase scene Tom Cruise would be proud of, Patrick Swayze piking out of a plane, the most excellent line “I am an F.B.I. Agent” delivered most excellently by Mr. Reeves, plus, as the poster advertises: 100% pure adrenaline. *But “acting” skills aside, there’s just something about him that draws the eye. I know I’m in a very small minority, but I hate this movie. 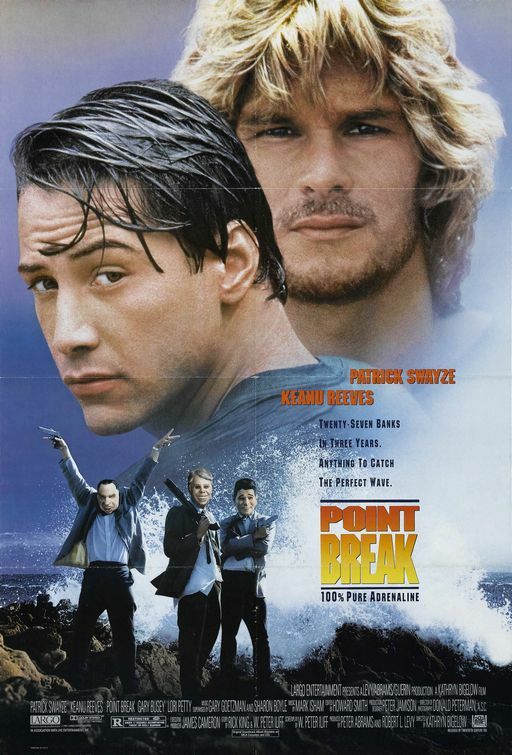 As a teenager I was peer pressured into watching it twice in a very short amount of time (I think my friend was obsessed with either Swayze or Reeves). I’ve never watched it again. James Le Gros and Lori Petty, though, those are two names you just don’t hear anymore. I really liked Lori Petty. It was too bad that she had such a fast actress fade. But she’s also in League of the Own. And was in Booker. James Le Gros shows up in stuff. Small parts here and there. I saw him in Night Moves (http://www.stenaros.com/?p=274) last year and couldn’t figure out why he was so familiar. He has a great IMDB photo. It’s so not a head shot. Next Next post: PKO Graduates!